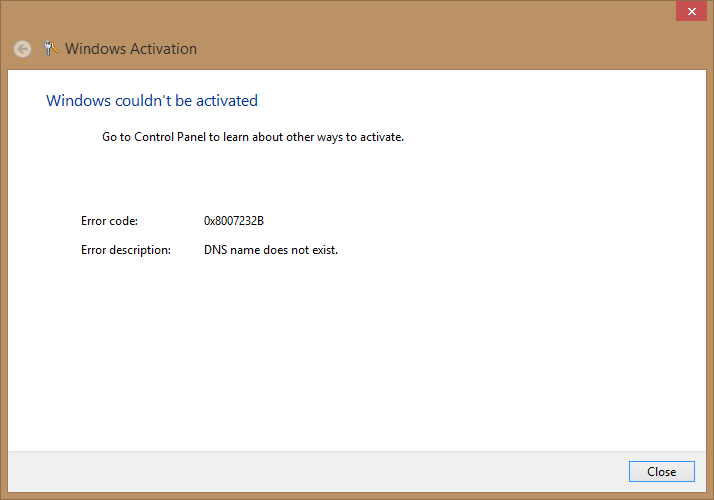 Error description: DNS name does not exists. Replace (KEY) with your key. After a few second for comfirmation it should be successfull if you have typed your key correctly. You’ll get the window above. 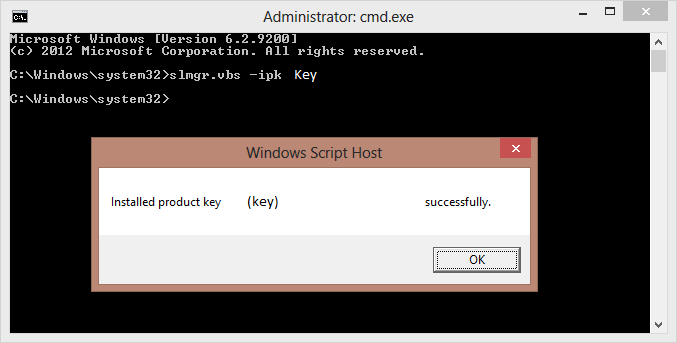 Windows Script Host. Installed product key (KEY) successfully. This was testes for Windows 8 Enterprise and might work for other versions as well.